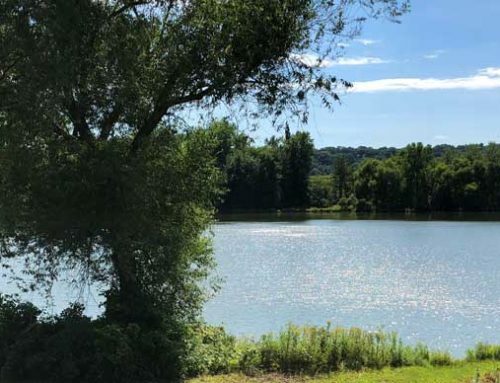 2010 was a significant year for increasing stringent limitations for all direct dischargers to Wisconsin Waterways, which included ultra-low phosphorus requirements and strict temperature regulations. 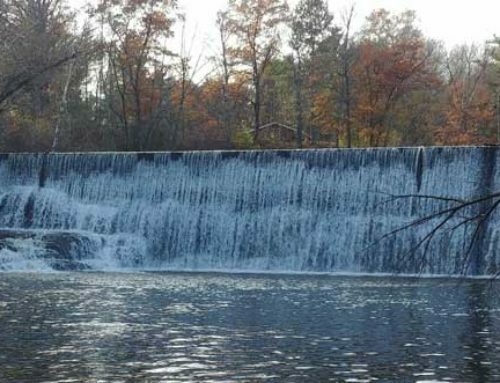 While both of these regulations are designed to protect natural resources throughout the state complying with them is becoming increasingly difficult for dischargers. With much more stringent regulations in effect, issuance of permits dropped significantly until 2013. Since then, most discharge permits (new and re-issued) have included a compliance schedule, giving facilities approximately 4 years to implement changes and achieve compliance with new thermal limits. (For example, if your discharge permit was issued in 2018, you likely have until 2022 to achieve compliance). This means that by now, most (if not all), Wisconsin dischargers are subject to a compliance schedule. Achieving compliance with thermal limits can be a challenging endeavor and could require significant time and investment. However, there are numerous options available to ensure that your facility complies with your upcoming thermal limits. 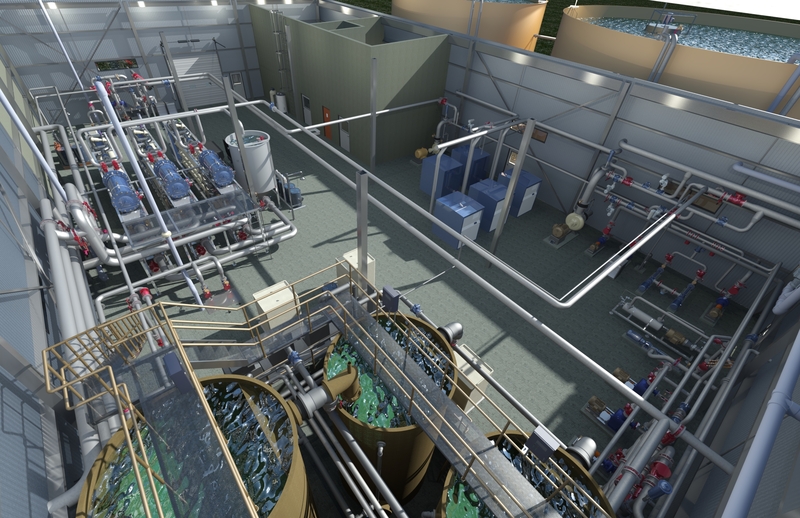 These options include engineered improvements to physically cool the discharge, and compliance options like, low-flow determinations, instream mixing studies, and alternative effluent limits. 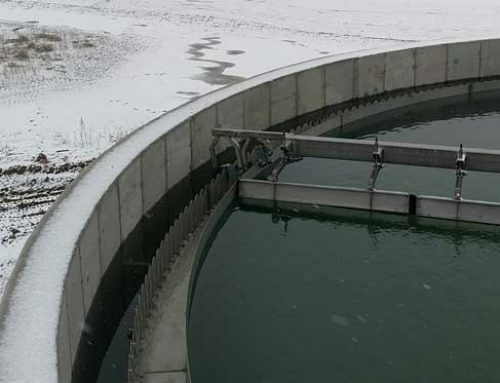 In wastewater applications, a floating surface aerator is generally installed to float on the surface of the water in a treatment pond or tank. The aerator then sends water droplets into the air and relies on evaporation to reduce to overall water temperature. (This process is similar to the way the human body reduces heat by sweating.) If the water temperature is lower than the wet-bulb temperature, evaporative cooling will occur. With relatively low capital investment and simple installation, adding a surface aerator for cooling is a convenient option that comes with the added benefit of adding dissolved oxygen (DO) to the wastewater, increasing the effectiveness of the treatment pond. However, there is a risk that for certain dischargers who limits may be very stringent, the wet-bulb temperature is higher than the effluent limit during certain times of the year, in which case evaporative cooling alone will not achieve compliance. This risk could be mitigated by adjusting discharge to be only when the wet-bulb temperature is low (i.e. at night) or by averaging with lower temperature discharges during the week. This cooling option is the least energy efficient, so for dischargers with large cooling demands either due to high flows or stringent limits, there may be better alternatives. The wet-bulb temperature is the lowest temperature which may be achieved by evaporative cooling of a water-wetted, ventilated surface. Cooling towers are generally open-topped cylindrical structures that utilize the same principal of evaporative cooling. However, instead of using a surface aerator and throwing water droplets into the air, treated wastewater is pumped to the top of the cooling tower and then evenly distributed across the cooling tower using nozzles and distribution plate packs. This allows the water to have even contact the with air, providing the closest possible effluent temperature possible with evaporating cooling. Cooling tower design and implementation vary, based on the manufacturer, materials, and individual facility needs. For example, some cooling towers may include packs or panels to increase the air-to-water contact time. In other instances, fans may be included, allowing air to be forced upwards through the cooling tower. Direct cooling towers offer very low operating costs. The cost to operate a cooling tower could be limited to just pumping water to the top of the cooling tower (usually 15-20 feet). However, if additional cooling is needed or if the wet-bulb temperature is very close to the compliance temperature, a tower fan may be utilized, which would also contribute to operating costs. Additionally, cooling towers also provide the added benefit of adding DO to the water. When considering a direct cooling tower, it is important to remember that cooling is achieved through evaporation, meaning that discharge will likely not comply with your thermal limits if the wet-bulb temperature is too high. The primary drawback to this solution is the potential for biological growth in the cooling tower, which could cause final discharge to exceed other permitted limits. To mitigate this risk, careful consideration needs to be given to your particular environmental conditions including seasonal weather and the construction materials. It is also advantageous to plan for periodic chemical cleaning of the cooling tank. A second cooling tower option is the indirect cooling tower, which introduces a heat exchanger to the process. Treated wastewater is sent to the heat exchanger, where heat is transferred from the discharge to a cooled fluid. Heat exchangers provide a controlled, closed-loop system to cool water, transferring heat from fluid to fluid. Wastewater, having been treated and cooled, is discharged after passing through the heat exchanger. The other fluid, which the heat was transferred to, is then sent through the cooling tower to dissipate heat through evaporative cooling. Given that these cooling towers also rely on evaporative cooling, the are also prone to non-compliance should the wet-bulb temperature be too high. Indirect cooling towers also come at a higher expense than direct cooling towers, with substantial increases in both capital investment and ongoing operations cost. Much of the increase to capital cost is due to the addition of the heat exchanger and associated piping systems. Increases in operating costs can be attributed to chemical use, pump operation and maintenance, and blow-down management. For facilities that require more substantial cooling; where the climate versus thermal limitations poses issues for evaporative cooling to be effective; in situations where it’s not feasible to limit discharge when the wet-bulb temperature is too high. One alternative that avoids reliance on evaporative cooling to meet thermal limits is mechanical chilling. A chiller uses a mechanical refrigeration cycle to dissipate heat to the environment. Chillers can be reliable and effective solutions for extracting heat from wastewater and meeting thermal compliance limits. Since the cooling does not rely on the evaporation of water, the wastewater can be chilled to meet any compliance point. As with all thermal solutions, the best implementation for chillers involves engineering to ensure the correct equipment and sizing. In most wastewater cooling instances, chillers need to be paired with a refrigeration loop and heat exchanger in order to provide the necessary results. Although chillers are effective, they are very expensive in terms of both capital expense and operating cost due to the high amount of energy required to run the chiller’s refrigeration compressor. A heat exchanger provides a controlled, closed-loop method, transferring heat from fluid (in our case, wastewater) to a cooling fluid. A chiller utilizes a mechanical refrigeration cycle. Think of your air conditioner or refrigerator at home. 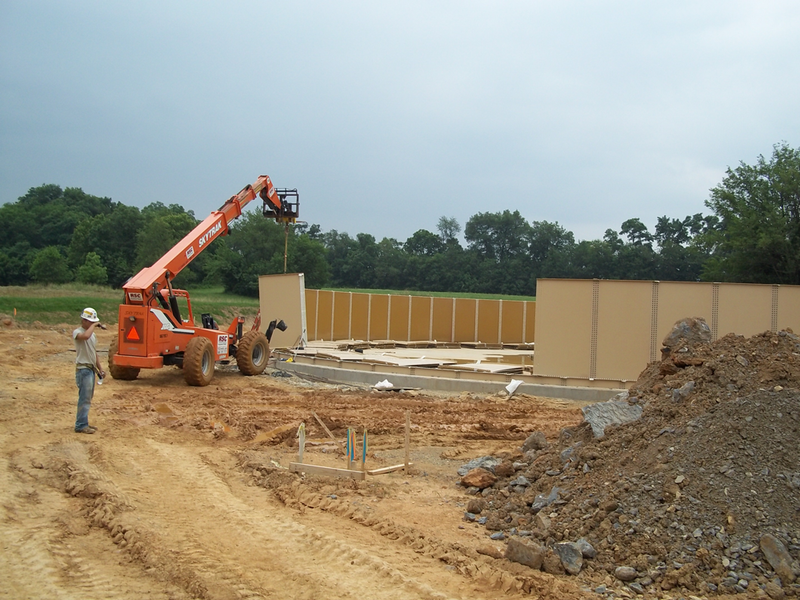 Geothermal energy has been utilized for decades as an effective option for HVAC systems. 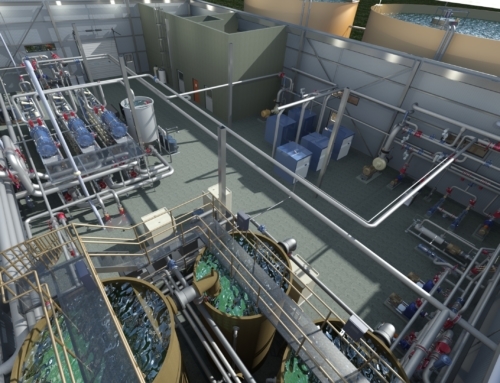 In recent years, we’ve seen an additional interest in using this resource as a potential method in wastewater cooling to meet thermal limits. The principle is simple: Use the constant temperature of the earth to dissipate heat. No reliance on evaporative cooling, no expensive chiller. The first method for using geothermal cooling is to pump effluent directly into the geothermal loops within the ground, allowing heat to be exchanged directly with the earth. The benefit of this method is a lower initial capital expenditure since no heat exchanger is required. However, there are risks associated with it, such as clogging, scaling, or other damaging to the expensive geothermal heat loops. The second method includes the addition of a heat exchanger to transfer heat from the effluent wastewater to a fluid that is pumped into the geothermal coils within the earth. The benefits of this method are similar to those of an indirect cooling tower; the cooling fluid can be monitored and adjusted to avoid scaling or damage to the geothermal loops. Unlike the cooling tower, the fluid rarely needs to be blown-down (aka replaced) since it is not lost to evaporation. Both methods require the early involvement of a geothermal engineer to conduct a site-specific evaluation and determine the appropriate depth, size, and quantity of thermal loops needed. While individual sites will have varying requirements, thermal loops are generally placed around 250 ft deep. Also, due to individual site geology, costs to install these loops can vary widely. Many options exist for meeting your thermal compliance limits, but choosing the best option for your individual site needs can be a daunting task. With our unparalleled experience in industrial wastewater, the Probst team of wastewater engineers can help evaluate the needs of your particular site and offer solutions to help you achieve thermal discharge compliance.